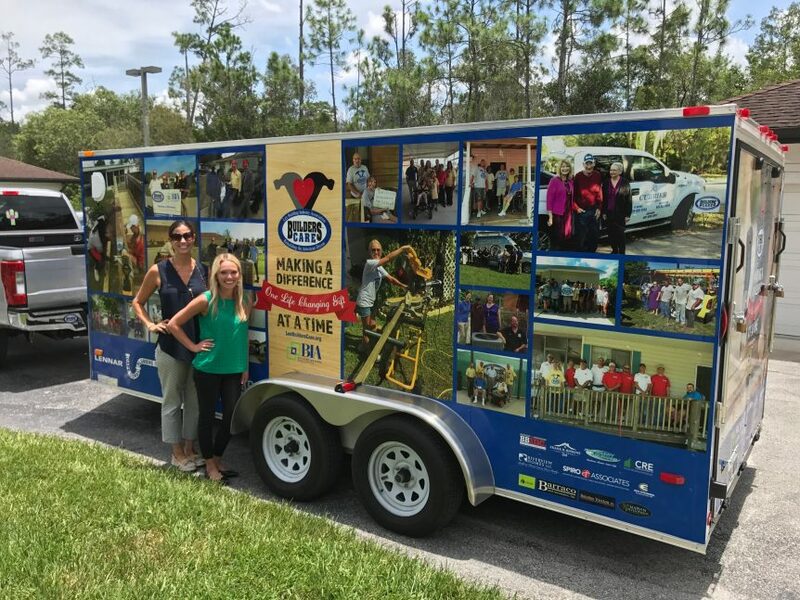 Earlier this year, board members and long-time supporters of the Lee Building Industry Association (Lee BIA) pledged funds to help Builders Care, the nonprofit charitable arm of the Lee BIA, to purchase a much-needed equipment trailer. 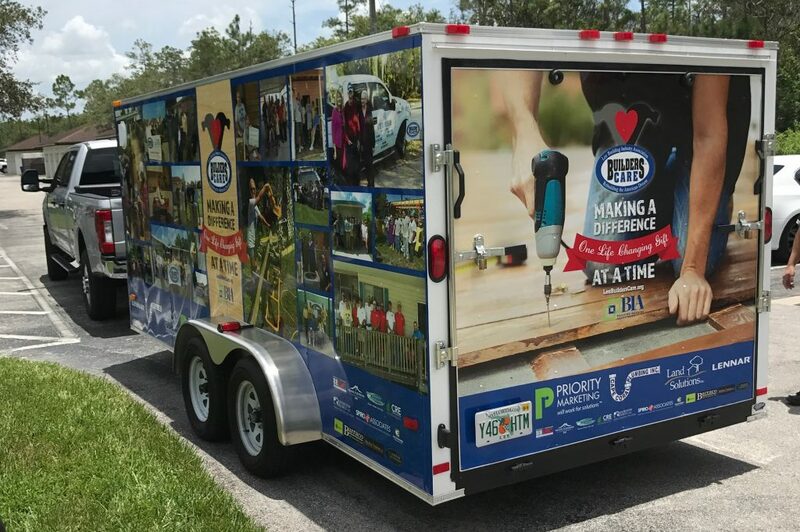 The trailer would allow staff and volunteers a place for storing materials and tools used to provide emergency home repairs to elderly and disabled homeowners in Lee County. Through the fundraising campaign, more than $10,000 was raised by the following companies: Land Solutions, Cape Coral Plumbing, Lennar, Advance Homes, Riverview Homes, Spiro & Associates, Better Buildings, Frank R. Jenkins Custom Homes, Five County Insurance, Baracco & Associates, Crews Environmental, Marvin Development, Bolanos Truxton, Argos USA, and CRE Consultants. 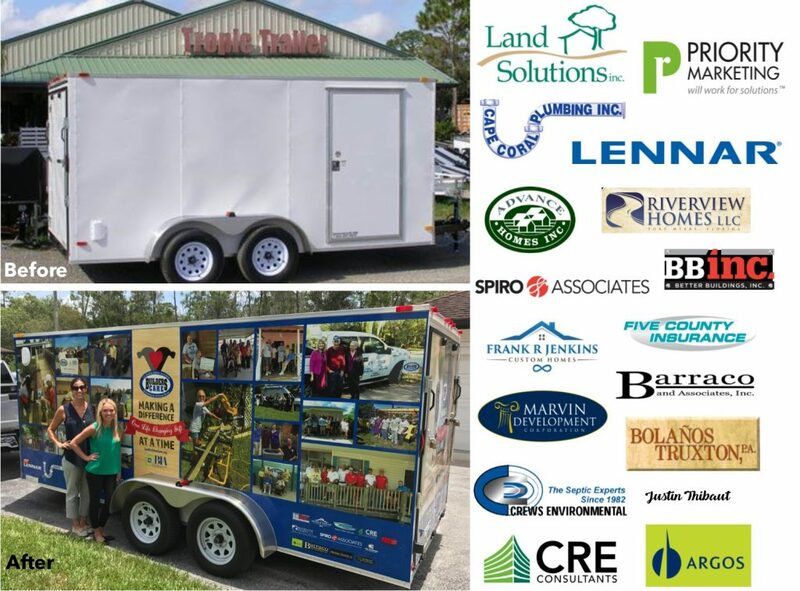 A 16-foot enclosed trailer was purchased by the organization with the help and generosity of Tropic Trailer. 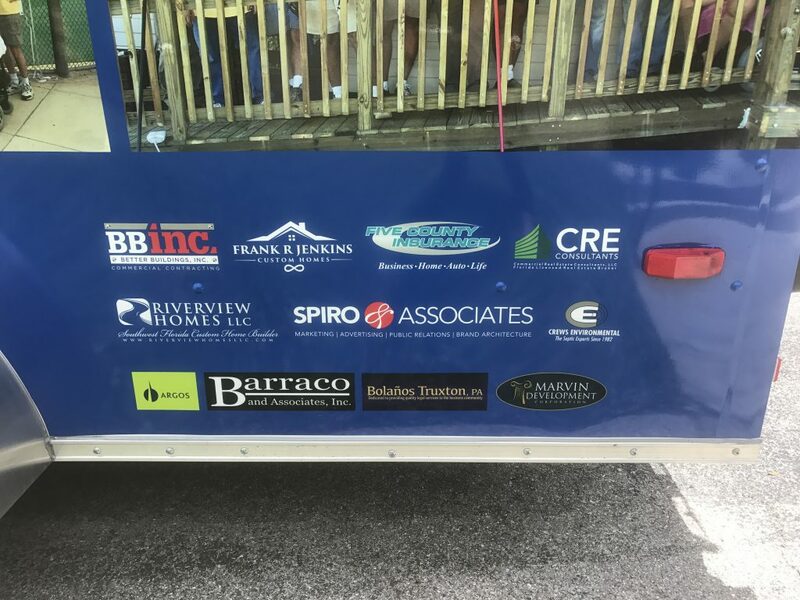 The trailer was wrapped with a custom designed wrap that was donated by Priority Marketing and installed by Killer Wraps. Lee BIA Builders Care is the nonprofit charitable arm of the Lee Building Industry Association (BIA). Its mission is to provide emergency home repairs and construction services to elderly, disabled and economically disadvantaged people who are unable to obtain home repairs through traditional means. To date, Lee BIA Builders Care has put more than $4.25 million in construction services back into the community at no cost to homeowners in need. 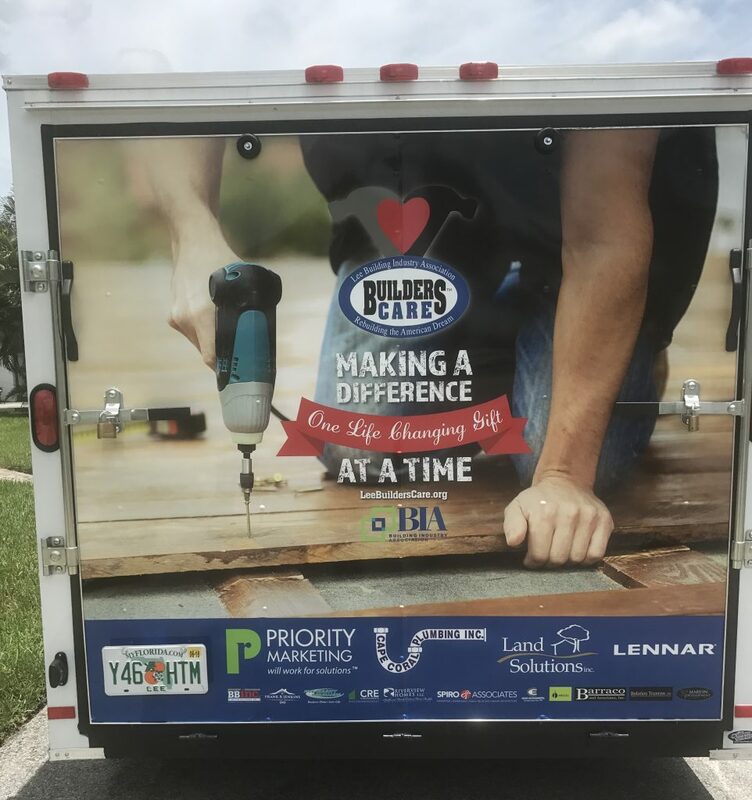 Lee Builders Care enlists the volunteer services of Lee BIA members and leverages grants and donated materials to provide construction and remodeling services to qualified homeowners throughout Lee County. Lee Builders Care is headquartered at the Lee BIA office at 10501 Six Mile Cypress Parkway, Suite 118 in Fort Myers. The Building Industry Association (www.BIA.net ) is a 63-year-old association affiliated with National Home Builders Association and Florida Home Builders Association that serves to strengthen our community by advancing a professional building industry through advocacy, education and services. Donations can be made online at www.LeeBuildersCare.org. More information is available by calling 239-938-0056. Follow Builders Care at Facebook.com/LeeBuildersCare or on Twitter @LeeBuildersCare.